Thats all. Game finished - Liverpool 2, FC Porto 0. 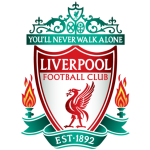 Second Half ended - Liverpool 2, FC Porto 0. Fabinho - Liverpool - won a free kick in defence. Dejan Lovren - Liverpool - won a free kick in defence. Yacine Brahimi - FC Porto - won a free kick in attack. Offside - Liverpool. Dejan Lovren with a pass, however Divock Origi is in offside. Corner - Liverpool. Conceded by Felipe. Corner - Liverpool. Conceded by Fernando. Danilo Pereira - FC Porto - won a free kick in defence. Corner - FC Porto. Conceded by Virgil van Dijk. Felipe - FC Porto - won a free kick in defence. Substitution - Liverpool. Daniel Sturridge for Roberto Firmino. Alex Telles - FC Porto - won a free kick in defence. Missed chance. Moussa Marega - FC Porto - shot with right foot from a diffucult position on the right missed to the left. Offside - FC Porto. Eder Militão with a pass, however Moussa Marega is in offside. Substitution - FC Porto. Fernando for Maxi Pereira. James Milner - Liverpool - won a free kick in defence. Shot blocked. Trent Alexander-Arnold - Liverpool - shot with right foot from outside the box is blocked. Assist - James Milner. Divock Origi - Liverpool - won a free kick on the left wing. Substitution - FC Porto. Bruno Costa for Óliver Torres. Substitution - Liverpool. Divock Origi for Sadio Mané. Missed chance. Sadio Mané - Liverpool - shot with right foot from outside the box is close, but missed. Assist - Naby Keita. New attacking attempt. Moussa Marega - FC Porto - shot with right foot from the right side of the box is saved in the right corner. Assist - Otávio. Corner - FC Porto. Conceded by James Milner. Offside - Liverpool. Mohamed Salah with a pass, however Jordan Henderson is in offside. Shot blocked. Mohamed Salah - Liverpool - shot with left foot from the right side of the box is blocked. Assist - Sadio Mané. Shot blocked. Mohamed Salah - Liverpool - shot with left foot from the right side of the box is blocked. Assist - Jordan Henderson. Substitution - FC Porto. Yacine Brahimi for Tiquinho Soares. Missed chance. Mohamed Salah - Liverpool - shot with left foot from outside the box missed to the left after corner. Felipe - FC Porto - receive yellow card for a foul. Shot blocked. James Milner - Liverpool - shot with right foot from outside the box is blocked. Assist - Jordan Henderson. Missed chance. Óliver Torres - FC Porto - shot with right foot from outside the box missed. Shot blocked. Mohamed Salah - Liverpool - shot with left foot from the centre of the box is blocked. Assist - Trent Alexander-Arnold. Missed chance. 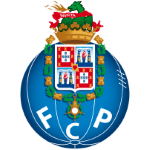 Danilo Pereira - FC Porto - shot with the head from the centre of the box missed. Assist - Jesús Manuel Corona with a cross after corner. Corner - FC Porto. Conceded by Dejan Lovren. Offside - Liverpool. Jordan Henderson with a pass, however Sadio Mané is in offside. Second Half starts Liverpool 2, FC Porto 0. First Half ended - Liverpool 2, FC Porto 0. Otávio - FC Porto - won a free kick on the right wing. Missed chance. Roberto Firmino - Liverpool - shot with left foot from the centre of the box is very close to the goal. Assist - Jordan Henderson. New attacking attempt. Moussa Marega - FC Porto - shot with right foot from few metres is saved by goalkeeper in the centre of the goal. Corner - FC Porto. Conceded by Trent Alexander-Arnold. Missed chance. Tiquinho Soares - FC Porto - shot with the head from the centre of the box missed. Assist - Alex Telles with a cross. New attacking attempt. Moussa Marega - FC Porto - shot with left foot from the left side of the box is saved by goalkeeper in the centre of the goal. Assist - Óliver Torres. Goal! Liverpool 2, FC Porto 0. Roberto Firmino - Liverpool - shot with right foot from few metres to the centre of the goal. Assist - Trent Alexander-Arnold. Missed chance. Mohamed Salah - Liverpool - shot with left foot from the centre of the box is close, but missed. New attacking attempt. Mohamed Salah - Liverpool - shot with left foot from outside the box is saved in the left corner. Assist - Naby Keita. Shot blocked. Mohamed Salah - Liverpool - shot with left foot from the right side of the box is blocked. Assist - Fabinho. Tiquinho Soares - FC Porto - receive yellow card. Mohamed Salah - Liverpool - won a free kick in defence. Shot blocked. Naby Keita - Liverpool - shot with right foot from outside the box is blocked. Corner - Liverpool. Conceded by Eder Militão. Tiquinho Soares - FC Porto - won a free kick in defence. Offside - FC Porto. Alex Telles with a pass, however Tiquinho Soares is in offside. Offside - Liverpool. Dejan Lovren with a pass, however Sadio Mané is in offside. Shot blocked. Roberto Firmino - Liverpool - shot with left foot from the left side of the box is blocked. Goal! Liverpool 1, FC Porto 0. Naby Keita - Liverpool - shot with right foot from the centre of the box to the top right corner. Assist - Roberto Firmino. Missed chance. Moussa Marega - FC Porto - shot with right foot from the centre of the box missed. Get real-time football commentaries and full coverage for the Champions League match Liverpool vs. Porto, powered by Scorenga.co.uk. This page is dedicated to one of the most exciting Champions League clashes. Here you will find a summary of the game, standings and photos.